Please click the image to read the 4 page PDF Report review. Portable Penetrator WiFi Security auditor Software can be deployed for Windows 7 - Windows 8 - Windows 8.1 - Windows 10 or Mac OS X. It runs via VMware Player, VMware Workstation, VMware Fusion or Opensource Virtual Box. 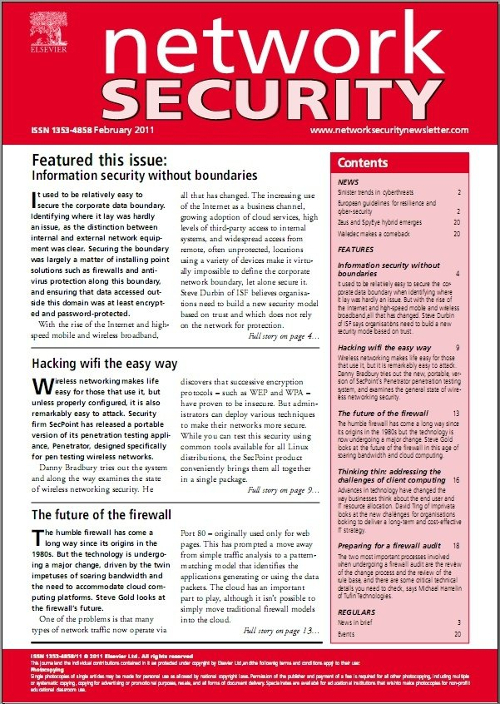 The Network Security magazine review talks amore about how the software can be used in a professional way to conduct WiFi auditing tasks. SecPoint Portable Penetrator is the all in one it security suite for IT Security professionals that conduct auditing for their clients. You can be up and running in a matter of moments after the software is installed. All drivers comes fully loaded and 1 click operation to upgrade to the latest Firmware software versions.